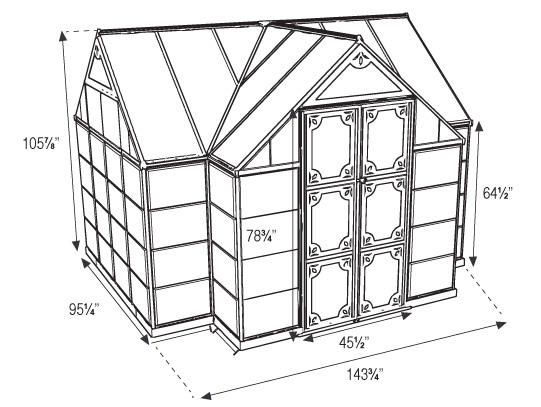 Your Chalet hobby greenhouse has 112 sq. ft. of floor space and the vaulted ceilings have plenty of room for trellising your tall growing plants or climbing vines. Two adjustable roof vents and double swinging doors provide ample ventilation to control heat and humidity. 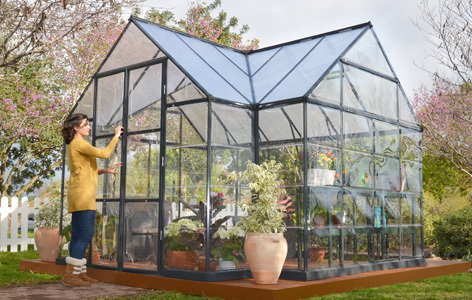 The wide double door opening of this Poly-Tex greenhouse makes moving items in and out a breeze, and it's also equipped with a threshold ramp for easy access. 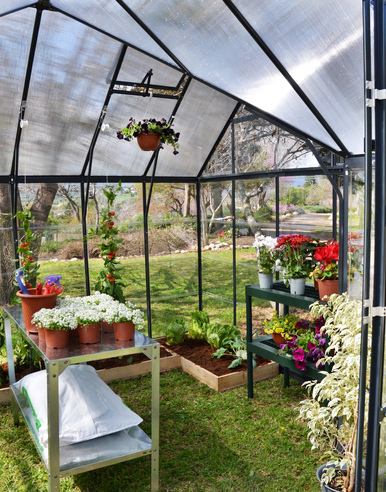 Over 8 feet of headroom gives you the space you need to work and move around your greenhouse. 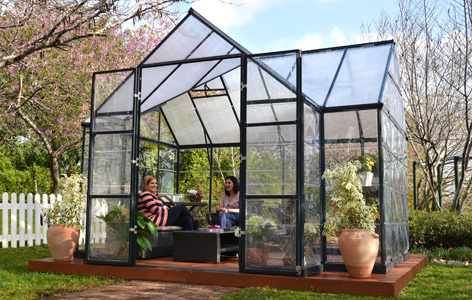 This versatile structure has a powder coat charcoal Gray aluminum frame and cathedral roof giving it a touch of European style that enhances any space. French doors create an open feeling allowing you to have that outdoor room that you've always wanted for relaxation and leisure activities. The step-by-step instructions and sliding panel system will make assembly a snap. Two people can accomplish this setup in approximately two days. 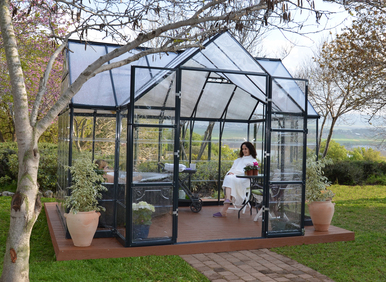 The Chalet hobby greenhouse attaches to your wood or concrete base as a hold-down. 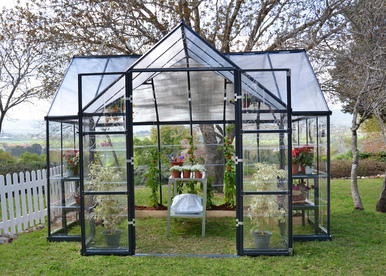 The rust resistant frame and durable polycarbonate panels will allow you to enjoy your greenhouse for years to come and require very little upkeep. 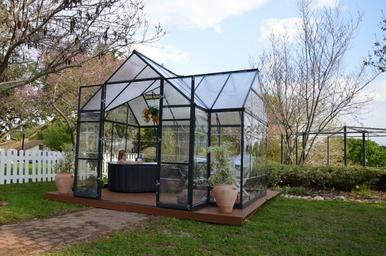 Click here for Accessories for this Greenhouse.